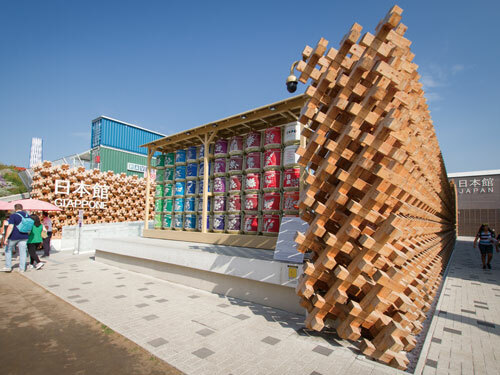 Covering 4,170m2 and inspired by the wooden homes of Kyoto, the eco-friendly Japanese pavilion reflected’ harmonious diversity’ by presenting its food and diet as healthy, sustainable, and in harmony with nature and technology. Japan sought to promote aspects of its food production, preservation, and diet as a solution to world problems of hunger while highlighting Japan’s culture of discouraging waste. Six Panasonic 3-Chip DLP™ and 40 1-Chip DLP™ projectors were used throughout nine scenes spread over two floors including a spectacular ‘harmony’ room using mapping technology to guide visitors on a journey through the seasons and regions of Japan. The ‘diversity’ space featured 10 projectors illuminating a pillar fountain and interactive tables, a father three in the ‘innovation’ room, four more in the ‘live performance’ area, and a PT-DZ870 in the ‘prologue’ presentation space. Together, Panasonic visual systems delivered a stimulating entertainment experience to visitors.